﻿ City Lodge Hotel Sandton Katherine Street Johannesburg. JIMAT di Agoda.com! Ada soalan mengenai City Lodge Hotel Sandton Katherine Street? Dengan lokasi mudah di Johannesburg, City Lodge Hotel Sandton Katherine Street adalah tempat yang hebat untuk menjelajahi bandar yang menarik ini. Dengan lokasi hanya 2km dari pusat bandar dan 30km dari lapangan terbang, hotel 3-bintang ini menarik banyak pelancong pada setiap tahun. Pelawat yang datang ke hotel boleh melawat tarikan utama di bandar ini seperti: Pusat Beli Belah Village Walk, Nelson Mandela Square, Sandton Square. Di City Lodge Hotel Sandton Katherine Street, perkhidmatan yang cemerlang dan kemudahan yang unggul menjadikan penginapan anda tidak dapat dilupakan. Wi-Fi percuma semua bilik, meja depan 24 jam, fasiliti tetamu kurang upaya, simpanan bagasi, Wi-Fi di tempat awam merupakan beberapa kemudahan yang membezakan City Lodge Hotel Sandton Katherine Street daripada hotel-hotel lain di bandar. Hotel-hotel telah direka demi keselesaan dan memudahkan tetamu. Sebahagian bilik menyediakan televisyen skrin rata, linen, cermin, tuala, almari. Kemudahan rekreasi hotel, yang termasuk seperti pusat kecergasan, padang golf (dalam jarak 3 km) , kolam renang terbuka, taman direka untuk anda melarikan diri dari masalah dan bersantai. Kemudahan yang hebat dan lokasi yang sangat baik membuatkan City Lodge Hotel Sandton Katherine Street menjadi asas yang sempurna untuk menikmati penginapan anda di Johannesburg. Friendly staff, beautiful interior and exterior, closer to Sandton Mall and many more. You will love it. Not up to my expectations. Beautiful garden, beautiful interior, friendly staff, good place for site seeing, close to famous Sandton Mall. the best hotel in town and the staff are nice to guest. This was the best weekend and weather was great. Rooms old and feel grubby. Bits of tape all over the walls where they are doing tardy paint Reno in the corridors. Needs a good clean and revamp. Shower and bathroom really didn’t feel clean. 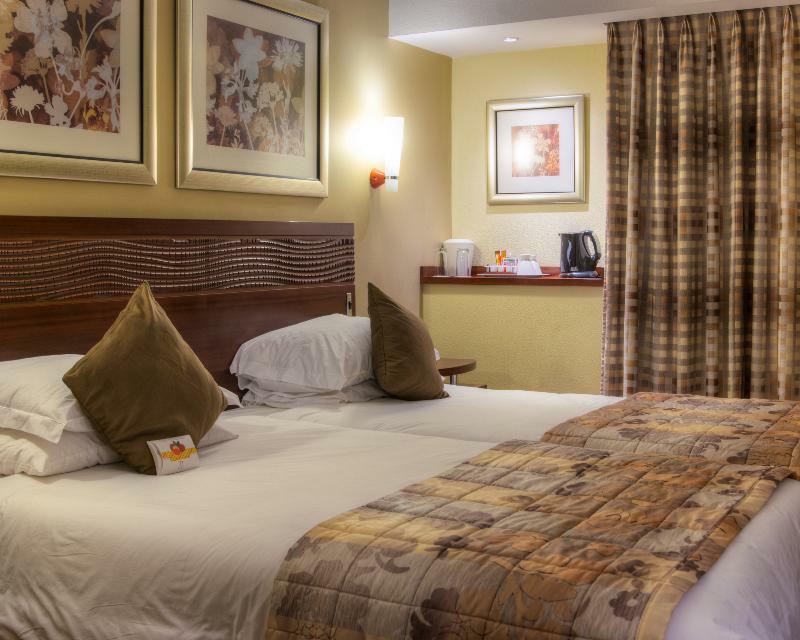 The hotel is located not far to the Sandton City and Mandela Square which is a plus. The staff is nice and the room is clean and cosy. There was an issue with the booking. The front desk didn't have the correct information and caused the travellers inconvenience. The manager however sorted out the problem the next day. reception staff need more training to better help customers either on business or holidays . Inhouse money changer facilities . On check in counter the Agoda reservation was not online in their system . Usually i have a print out of my reservation upon presentation if Any problem . ( It helps obviously ). Booking through Agoda was a third experience since the beginning of the year , Through Hongkong ,Malaysia , Singapore and SouthAfrica . This has been very helpful as rate is much better than other service provider . Agoda should fight harder with hotel to have more and more add services rather than best hotel rate , with breakfast and AIRPORT PICK UP PACKAGES inclusive that can be unbeatable and comparative services . The hotel is of excellent conditions , food excellent mainly breakfast which is very well known for omlette mushroom and saussages . In house restaurant in the vicinity on the hotel with exclusive food . Impressive Taxi in house services at all times with normal rate and excellent services . I strongly advice other people going on holidays or business trip to make a must to stay in City lodge for an experience . 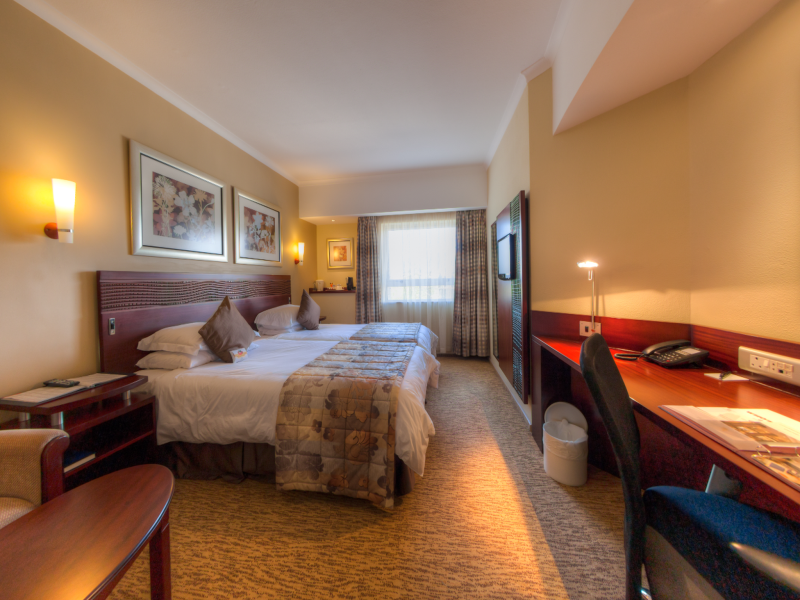 The hoetl is very well llocated .Service is good and nice.Reception staff is very nice and welcoming people.I have enjoyed very much the breakfast and the bar services and attended later in the afternoon.The rooms are ok and I got good value for my money.The pick up services from the airport was prompt and of good quolity.